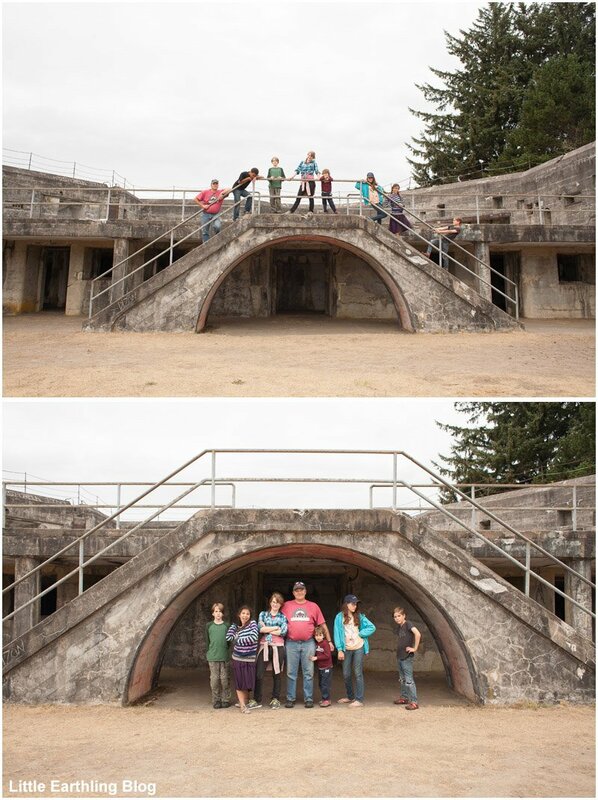 On (I think) the second day of our camping adventure, we drove approximately 5,475.87 hours to get to Fort Stevens State Park. 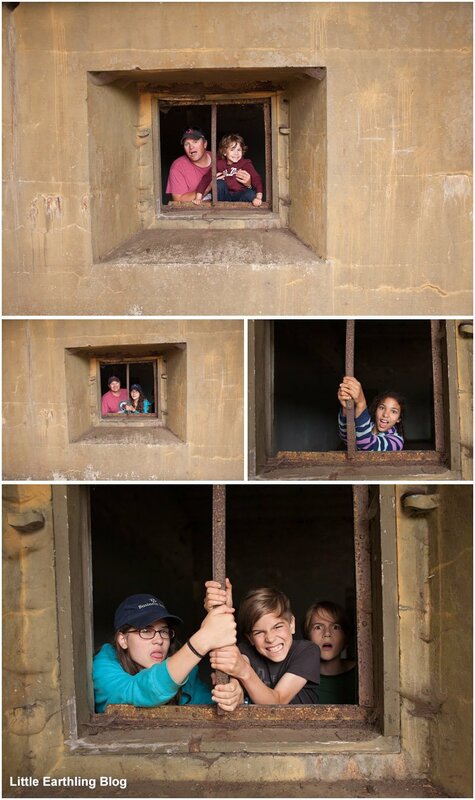 The kids of course wanted their picture taken in the bunker while they pretended to be in jail. Don’t ask me. I do remember when I was kid, though, we were having a laundry room built in our basement and me and my brothers spent hours playing cops and robbers…so I guess I get it. And aren’t they cute? Poor Mordecai’s entire day was ruined because he didn’t get to ride in the van with our friends. Hot meat lover’s pizza eventually won him over. At 6:30 pm. 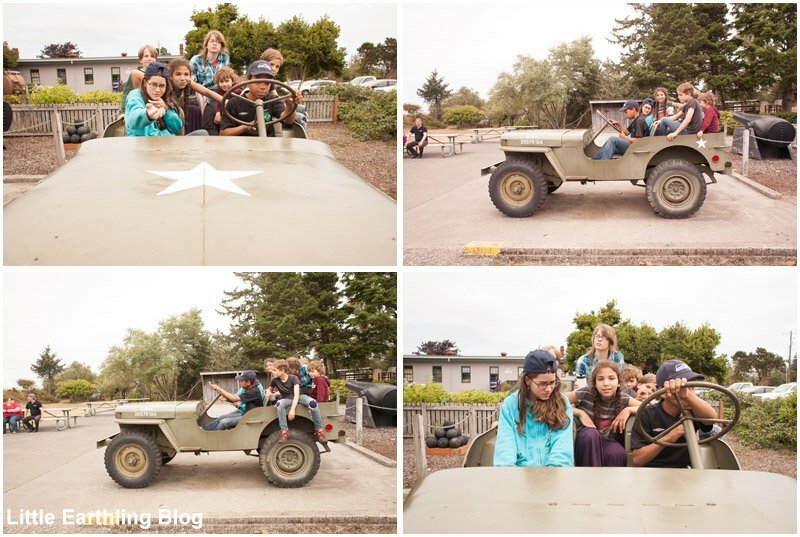 This military truck occupied the kids for long time. I’m pretty sure the drive would have been worth it to them *just* to be able to climb in this truck. I think my favorite shot is Tucker sitting on the edge in the third photo. 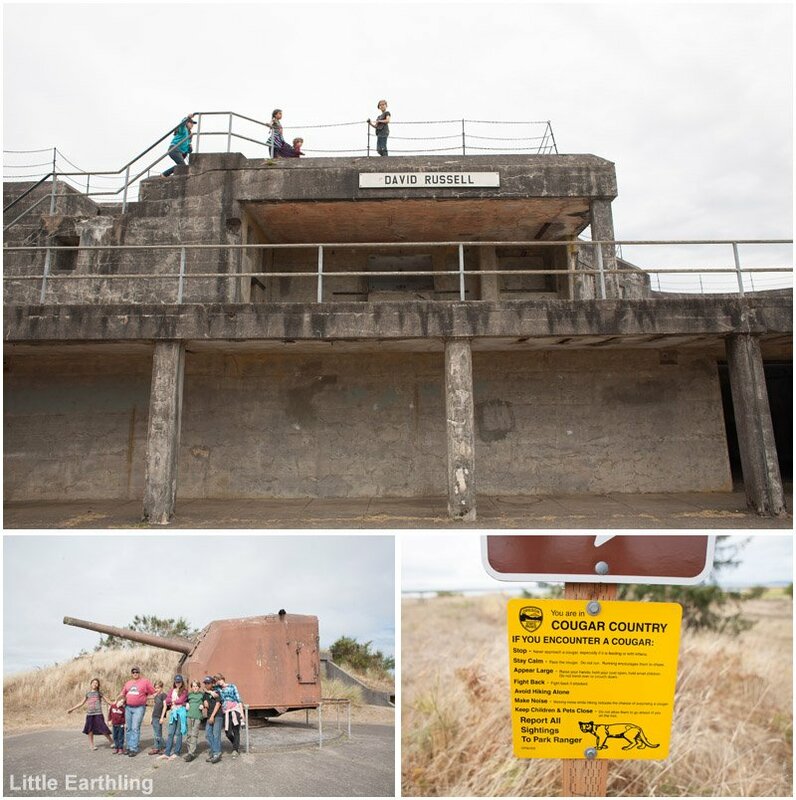 My favorite part of Fort Stevens? This sign with helpful tips if you encounter a cougar: Stay calm! Appear large! Fight back! Sounds a lot like parenting…am I right? 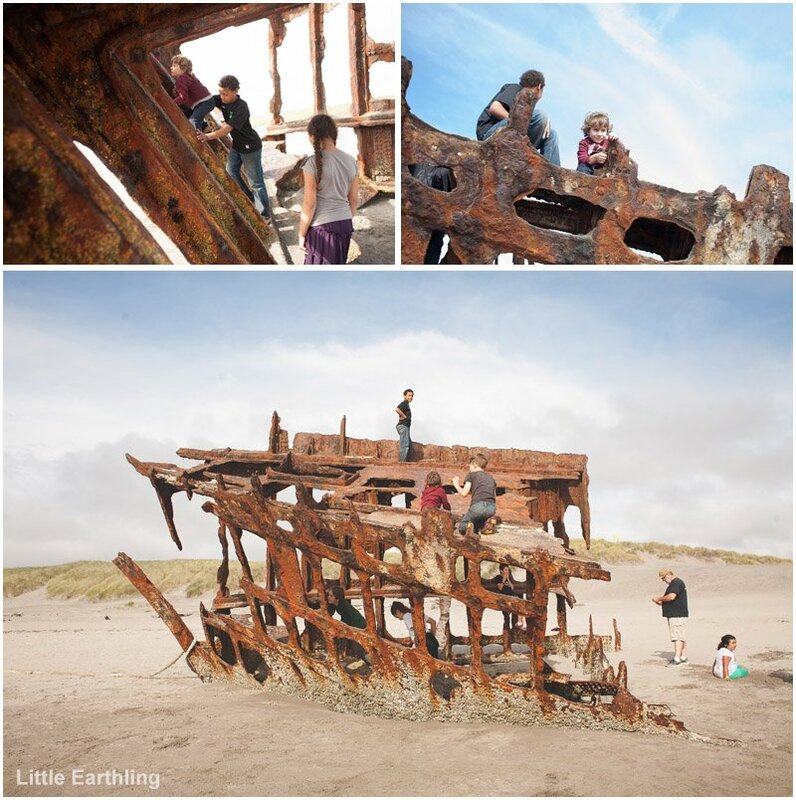 Would you believe on the beach at Fort Stevens is an old shipwreck? That kids can climb on? 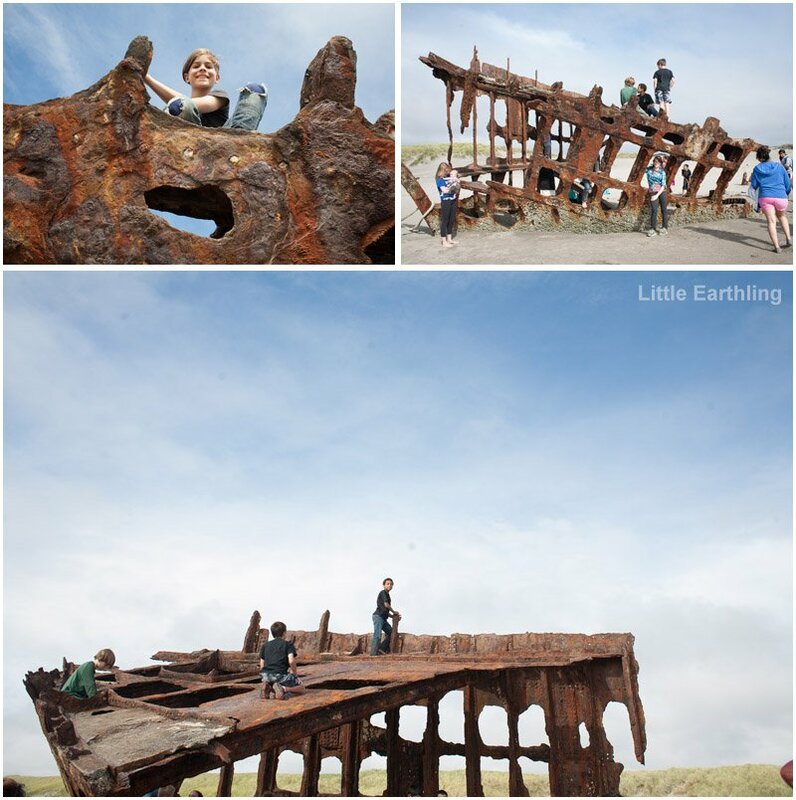 This is a veritable Tetanus Playground! Not only is it a hunk of rusty metal, but there are large pieces half buried in sand threatening impalement at every corner. This kids, of course, loved it. This thing is about ten times as dangerous when the tide is in and you can’t see the rusty metal sticking up from the sand. Chuck and I were amazed that there were no restrictions on climbing. Good old-fashioned common sense and parenting decisions permitted here. Exactly…so glad to have the helpful tips for not becoming cougar-chow. Ouch. Tetanus. But also looks like the set of one of the Planet of the Apes sequels! The good news? My kids all have tetanus shots. The better news? It made an amazing playground. 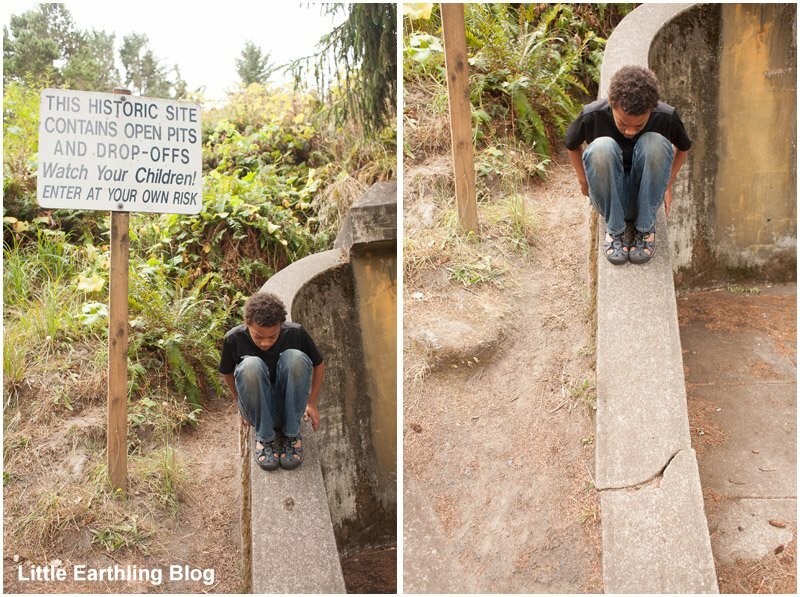 I spent many hours as a child climbing in and out of half-buried bunkers. No broken bones and no tetanus. Instead I developed good old common sense and a good awareness of what my body can and cannot do. Me too! And I agree completely. Common sense and first hand-experience…not signs and rules. We *were* surprised though, that climbing was not forbidden. No injuries, and happy memories for our crew! It looks grea. Were you the only people there? That looks like an amazing place to go! My kiddos would have loved to climb all over it!